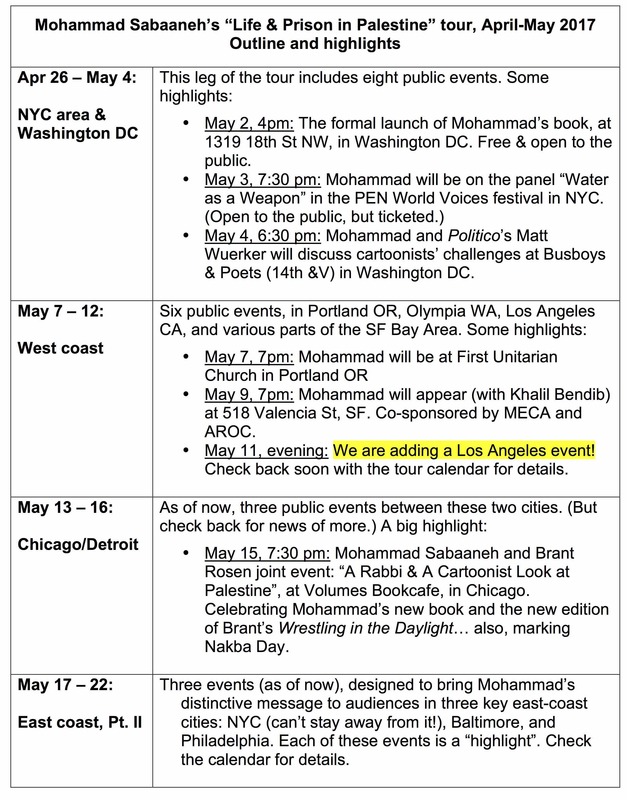 Palestinian cartoonist Mohammad Sabaaneh launched his current U.S. speaking tour this past week with two landmark public events and several media interviews in New York City. 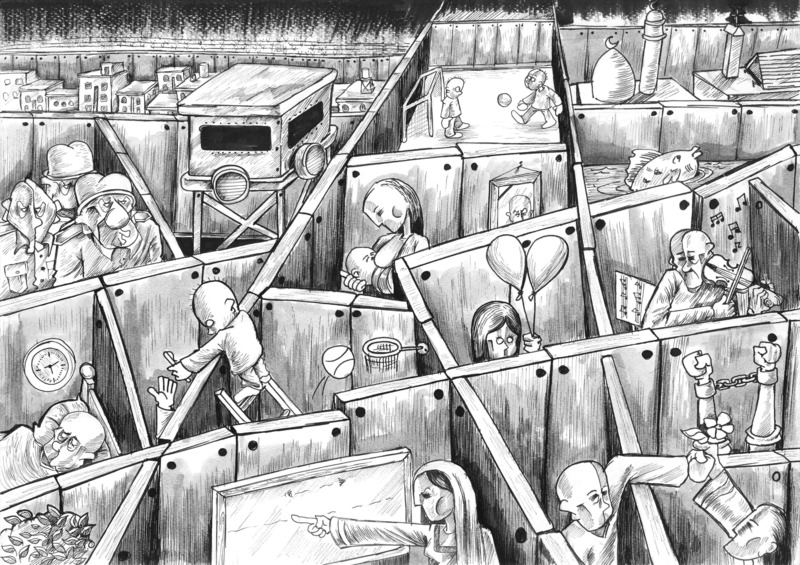 Sabaaneh’s tour, which is being organized by Just World Educational, is titled “Life & Prison in Palestine: A Cartoonist’s Eye”. 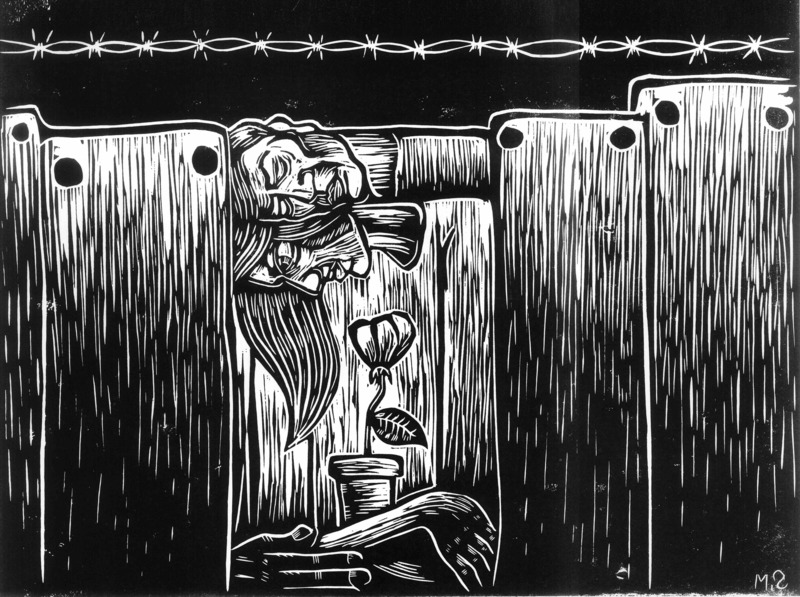 It’s particularly timely because Sabaaneh himself is a former political prisoner in Palestine… and Israel’s continuing, very colonial practice of inflicting mass incarceration on Palestinians is one of the key themes in his work, including in his new book White and Black: Political Cartoons from Palestine. Just ten days ago, more than 1,500 of the thousands of Palestinian prisoners held in Israeli prisons– many of them held, as Sabaaneh was, for prolonged periods without charge or trial–started a hunger strike to support their demands for better prison conditions. Launching his tour at the Parsons School of Art and Design on Wednesday, Sabaaneh spoke eloquently about how the time he spent in solitary confinement in an Israeli jail stimulated him to put together a book that could express the pain not just of the Palestinians in Israel’s prisons but of all Palestinians living in the larger “prisons” that the various, walled-in areas of the West Bank and Gaza have become. Sabaaneh’s “Life & Prison in Palestine” tour has attracted the attention of a broad range of media in the United States. 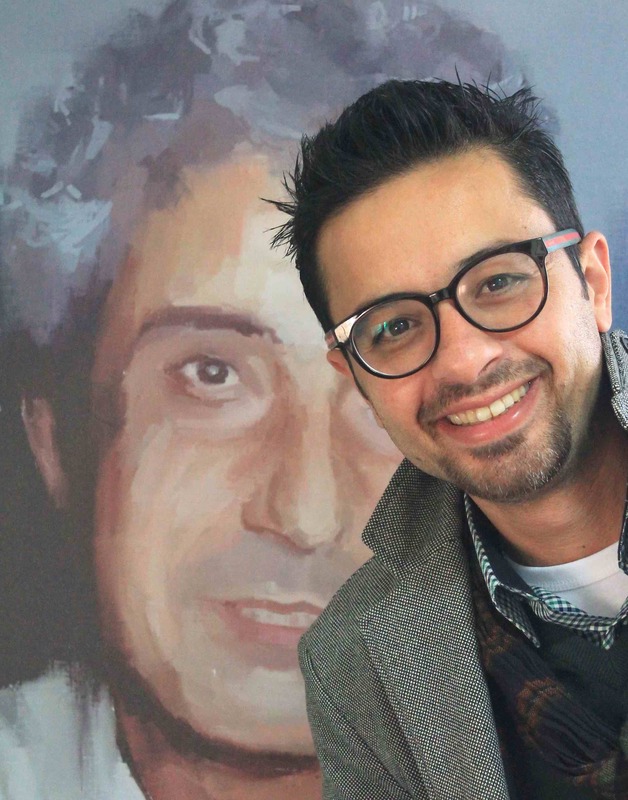 U.S. journalists are impressed not just by Sabaaneh’s poignant story of being imprisoned because of his cartooning but also by the brilliant quality of his work itself. This is angry art, ruthless and relentless. And who has more right to be angry than the children of Palestine? Mohammad bravely uses his great talents as a cartoonist to work in the midst of [a] political minefield. The other great plaudits that Sabaaneh has won for his work can be viewed here. Just World Ed was able (somewhat inexpertly) to videotape Sabaaneh’s appearance at Parsons. That videotape can be viewed here. Phil Weiss of Mondoweiss was impressed enough by the videotape that he wrote up some of its highlights, here. The next major highlight in the tour will be the formal launch of White and Black, on Tuesday, May 2 at 4pm, in Washington DC. We’re hoping for a great turnout there. Details are here. The day after that, May 3, Sabaaneh will be in New York, taking part in a panel on environmental issues at the PEN World Voices Festival. This appearance is particularly notable because (1) obviously, Israel’s theft of land and natural resources has caused environmental catastrophe for the Palestinians and (2) this is the first year that the venerable arts-and-free-speech organization PEN has refused to take funding for this festival from the Government of Israel– funding that in the past allowed Israel to “culture-wash” the many terrible infringements of free speech it inflicts on creative voices like that of Mohammad Sabaaneh. Anyway, we’re delighted with the way the #Sabaanehtour has gotten off the ground! Please tell all your friends about it, especially if they live in the urban areas where he’ll be appearing. If you click on the table below, it will take you to the full tour calendar.